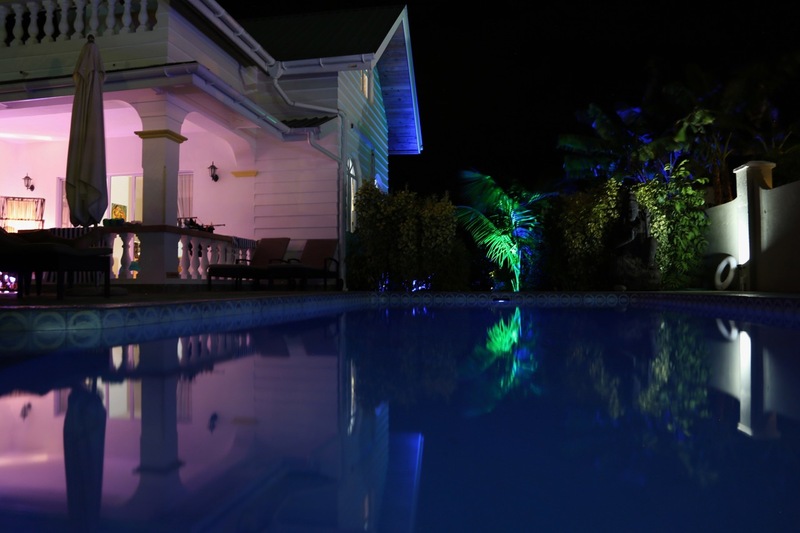 Villa Aya is the perfect self catering accommodation for you who wants to feel at home and be at home while enjoying a peaceful holiday in the Seychelles. Feel at home at Villa Aya, a small cozy self catering accommodation set in the heart of Amitie Praslin. Villa Aya has 3 villas surrounded amid a tropical garden. All villas has been tastefully decorated for guests' comfort. Villa Aya has 1 Petite Villa suitable for single or couple , 1 Pond view villa perfect for single, couple or family with children below 12 years, and lastly 1 Grand Villa ideal for group of maximum 7 person and has a swimming pool which can be used by guests staying in Petite & Pond view villa and Grand Villa. Villa Aya is the perfect self catering accommodation for you who wants to feel at home and be at home while enjoying a peaceful holiday in the Seychelles. Book Now at Villa Aya. © 2016 Villa Aya. All rights reserved.